What does it take to be a winning youth coach? 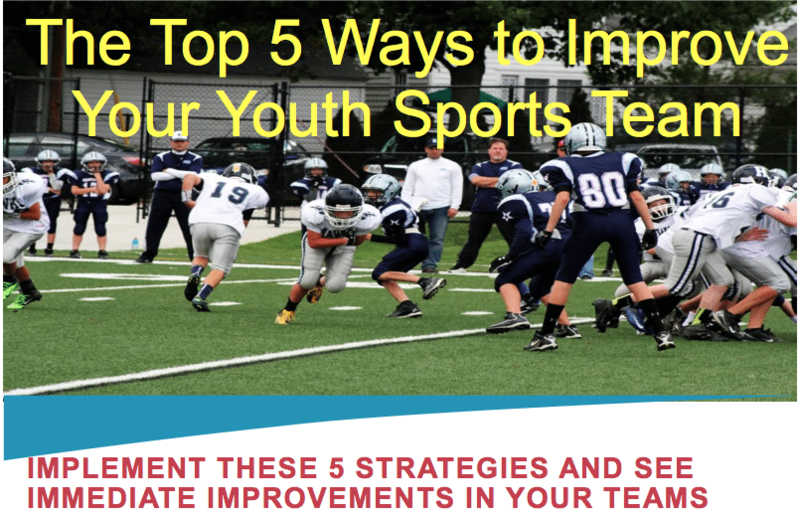 Listen in as Keith Van Horn shares stories and discusses his journey to becoming a successful youth sports coach. HUGE IDEA #1 – 1st look at it from the kid’s performance – why are the kids playing? – To have fun, spend time with friends, run and jump a little bit? This might be different based on their gender also. When looking at the 4F’s for goals – Fun, Friendships, Fundamentals, Fight – You need to individualize these for each player – some kids just want to hang out with their friends, others want to improve a skill, others just want to win – so create motivation/goals for each individual based on where they are at. Spider – Ball handling game – 4 or 5 defenders, 3 or 4 offensive players – Players have to dribble to the other end of the court while the spiders are trying to knock their ball out of the court, if you get your ball knocked out you join the spiders. As a player – the key is to play present and stay focused on what you are doing – you have to block out the fans/other coaches, etc. Keith is working with youth to teach more than basketball but real life lessons – dealing with losses, working in a team environment, the discipline of practice. 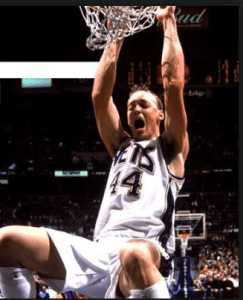 This entry was posted in Podcasts and tagged in 1997, athlete, baseball, basketball, cheerleading, coach, Coaching, coaching podcast, Colorado Premier Basketball Club, dad, Dallas Mavericks, daughter, ESPN, football, gymnastics, hockey, Keith Van Horn, lacrosse, layups and rebounds, layupsandrebounds.com, mlb, mom, NBA, New Jersey Nets, NFL, Pac 12, Parenting, peak performance, Pete Carroll, podcast, podcasts, positive coaching, Positive Coaching Alliance, soccer, softball, son, sports, sports podcast, swimming, The Classic Guide to the Mental Side of Peak Performance, The Inner Game of Tennis, Utah Utes, volleyball, W. Timothy Gallwey, winning, Winning Youth Coaching, Winning Youth Football, youth, youth coaching, youth sports, youth sports podcast. I was a great fan of Keith Van Horn. He followed him from his years in New Jersey and was a great player on and off the court. It’s great to know that Keith is running a basketball program. Best wishes and successes for Keith ……..